Jason Tubinis joined the staff of the University of Georgia Alexander Campbell King Law Library in fall 2010. 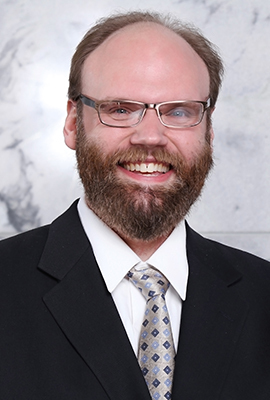 In his role as IT librarian, Tubinis is responsible for researching and implementing new library and legal education technologies, troubleshooting software and hardware problems and maintaining the library's pages on the law school's website. He also assists with the administration of GAVEL - the law library's automated library system, provides legal reference services and leads the law library web team systems team. Before coming to UGA, Tubinis served as the system administrator at the State University of New York at Buffalo Law School, where he collaborated with faculty and staff to create online educational tools and maintained the school's web portal. Tubinis earned his Bachelor of Science in information technology from Rochester Institute of Technology and earned both his Master of Library Science and Juris Doctor from the University at Buffalo.